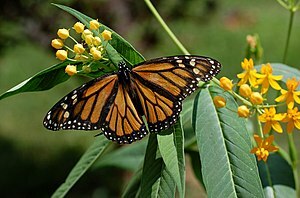 This entry was posted in 2013, Butterfly gardening, Garden wildlife and tagged butterfly gardening, garden insects, gardening, milkweed, Monarch butterfly, Monarch Watch, nature, pollinators, winter sowing by missinghenrymitchell. Bookmark the permalink. I have a lot of milkweed and only saw a few caterpillars this year. It was really disheartening. I grow a lot more orange milkweed because it likes dry soil than the swamp milkweed. In my garden, the orange (a. tuberosa) self seeds easily while the swamp milkweed struggles. Which kind did you add? 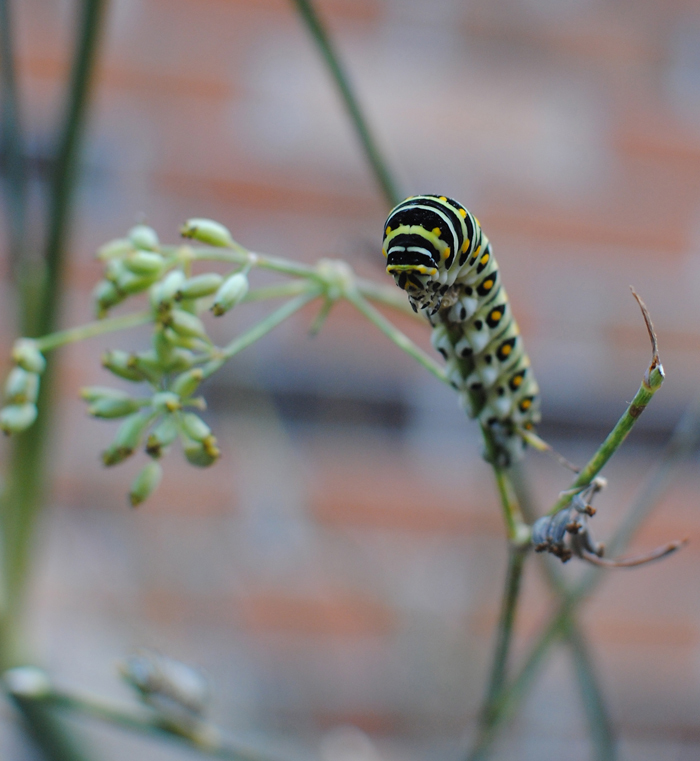 They are also attracted to liatris ligustylis. I am adding A. tuberosa, A. incarnata, and (I hope) A. variegata. I haven’t seen A. variegata before, but if it is good for thickets and woodlands, I need to try it. That is my garden in a nutshell! I am also hoping to try a few varieties of liatris; you are right, they love it. I tried growing liatris once before but that summer was extremely hot, and it died. If I can find some plants on sale at local nurseries for the end of the season, I will snap them up. Fall planting is truly the way to go in our climate, isn’t it? I added some of the a. tuberosa and planted out some incarnate too (they seem to be the most popular around here) but no butterflies most of the year. This post came to mind yesterday afternoon though when I went out into the garden and found about a dozen monarchs floating around. 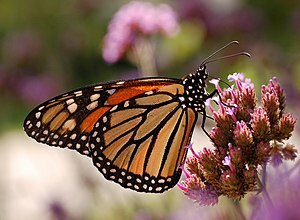 The monarch migration must have reached this end of Pennsylvania an maybe in the dry weather my verbena bonariensis became their best bet as just about everything else local has dried up. I am so delighted to hear this! I do hope they gorged themselves on your verbena. They are a resilient and adaptable species but as a society we are really putting a big burden on them. I’m glad your verbena made it through your droughty summer; your remarks remind me of the importance of planting a wide variety of nectar plants. If one plant fails, perhaps another will fill its niche for the season. Good luck, monarchs! Being in the desert, I know we have butterflies, but not sure how they survive when the heat rises. Thanks for this interesting and delightful part of nature.